“I don’t feel safe” these words have been pouring out of many immigrants mouth since the news of Trump becoming America’s next president. President elect Donald Trump has vowed to start deportations within his first hour in office. 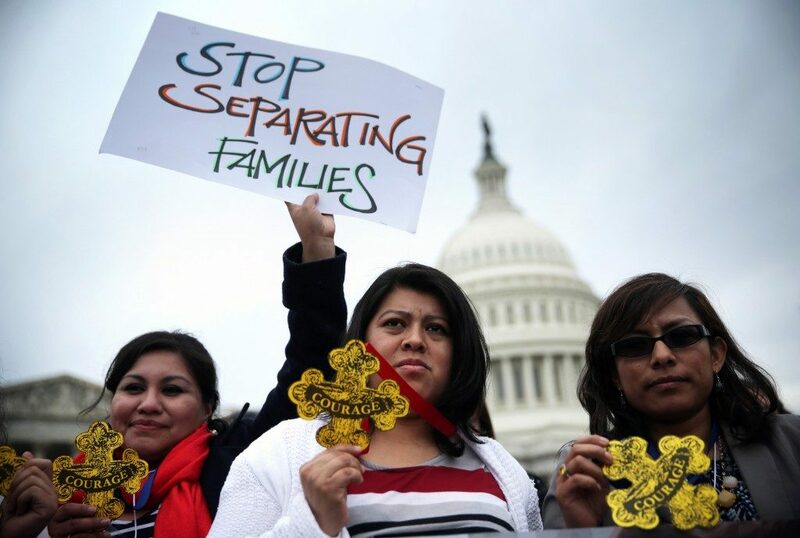 So what does this mean for the 11 million undocumented immigrants in America? Fear. The rest of America is not standing for Donald Trump’s views on deportation or his wall. Instead, cities are tapping into local government funds to help fight deportation and provide immigrants with lawyers. Earlier this month, Chicago officially approved a $1.3 million legal fund. Chicago Mayor Rahm Emanuel, the former White House chief of staff stated “We need to be able to stand by people who are fearful”. This is exactly what Chicago is doing with their $1.3 million legal fund for the 1.4 million immigrants in Chicago. Lastly, cities such as Miami and New York City is building on their public defender program which is considered a national model to start funding for a public-private legal fund for immigrants. Trump’s original plan was to build a wall and deport the 11 million undocumented immigrants, starting with his first hour in office. Since then he has scaled back his deportee number and has not detailed his specific plan for the wall. America expects his first legal attack will be to cut off government funding for immigrants. This is why major US cities plan to get their funding before Trumps first day in office in January. Not only are people helping by raising money for lawyers to represent immigrants but also on a daily social aspect. Americans are helping their fellow pupils, co-workers, and neighbors fight the fear of deportation and discrimination. Kayla Santosuosso is the deputy director of the Arab American Association of New York. She created a sign-up form on Google docs that matched volunteers with people who feel like they were being threatened or harassed on their daily commute. The volunteers would walk with the immigrants, minorities as well as LGBT individuals that believe after the election the discrimination has escalated to where they are threatened on their daily commute to work or school. Over 6,000 people have volunteered to help those individuals that are in need. Only days after Trump was elected President there were over 300 harassment and intimidation incidents directed at minorities. US cities such as Miami, Chicago, New York City, and Los Angeles are not taking these threats and immigration statistics lightly, they are going full force to protect the immigrants. Donald Trump and his advisory board will not deport our immigrants without a fight.